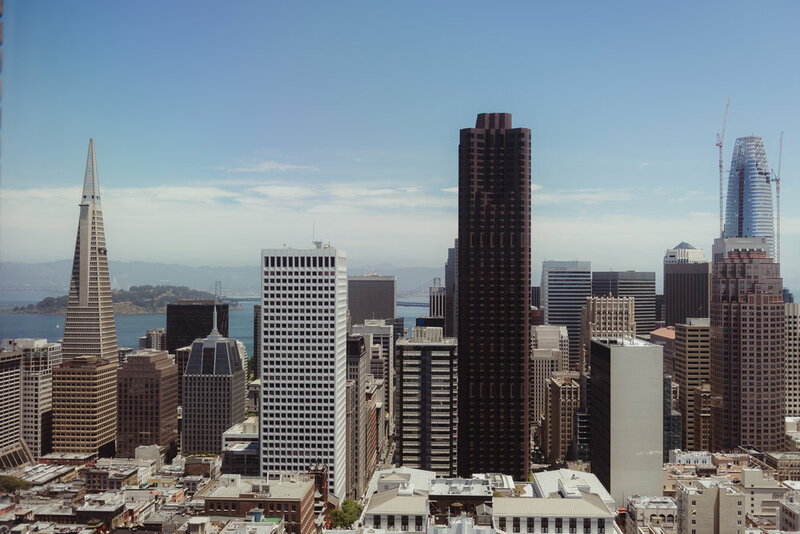 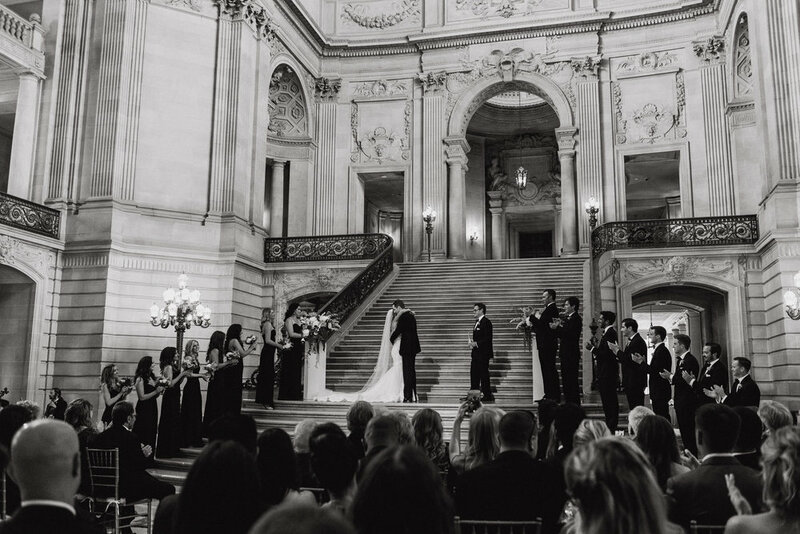 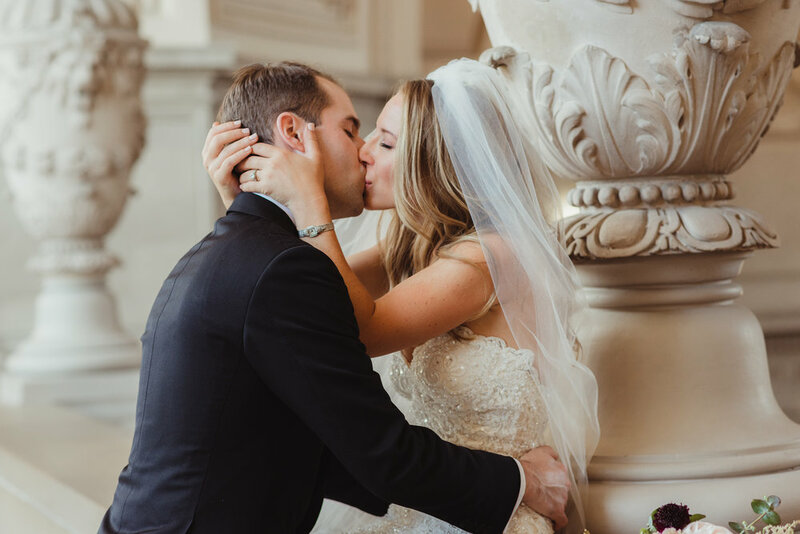 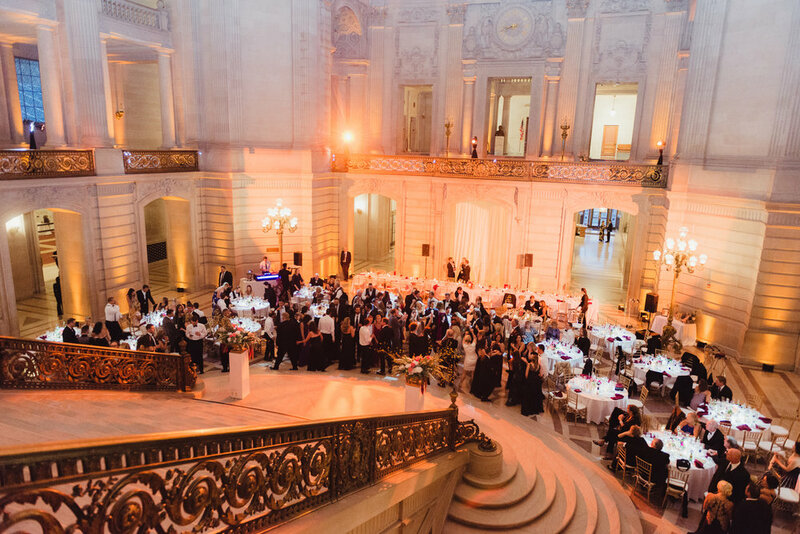 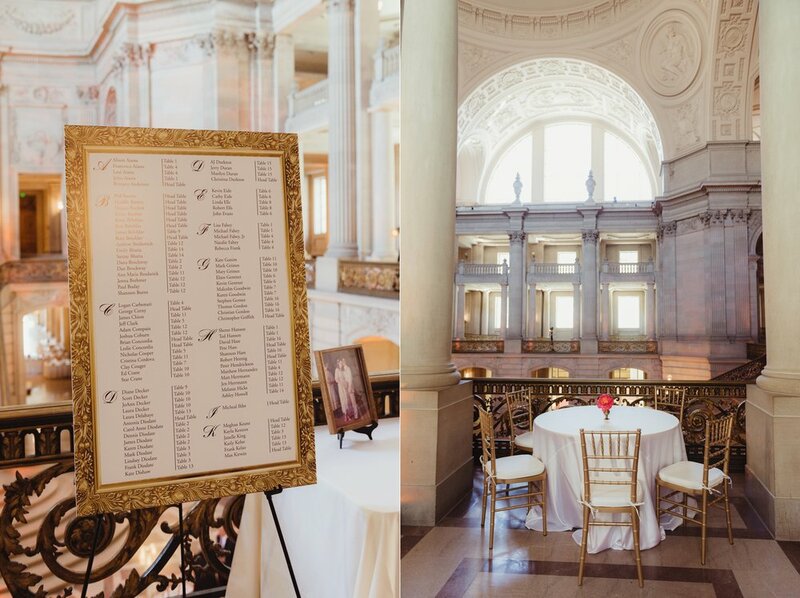 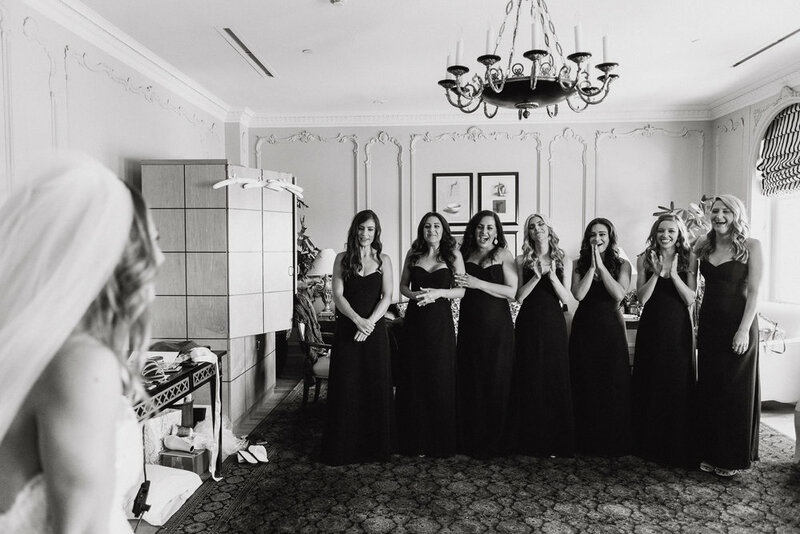 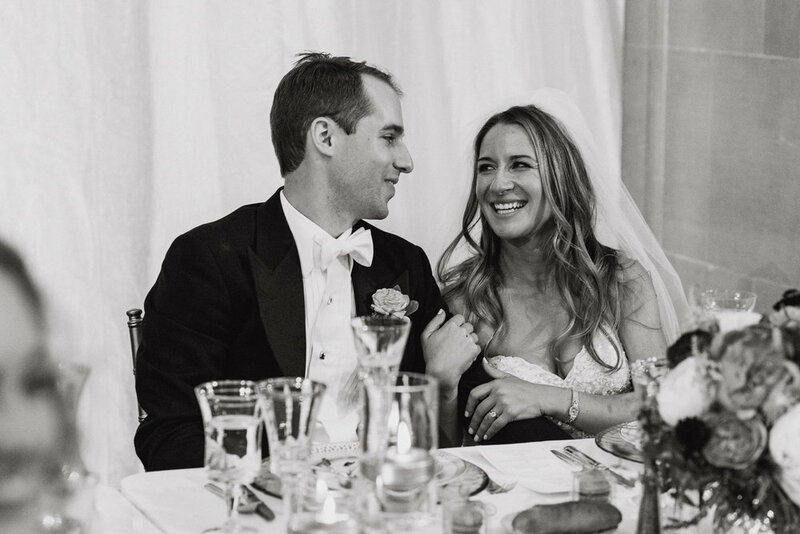 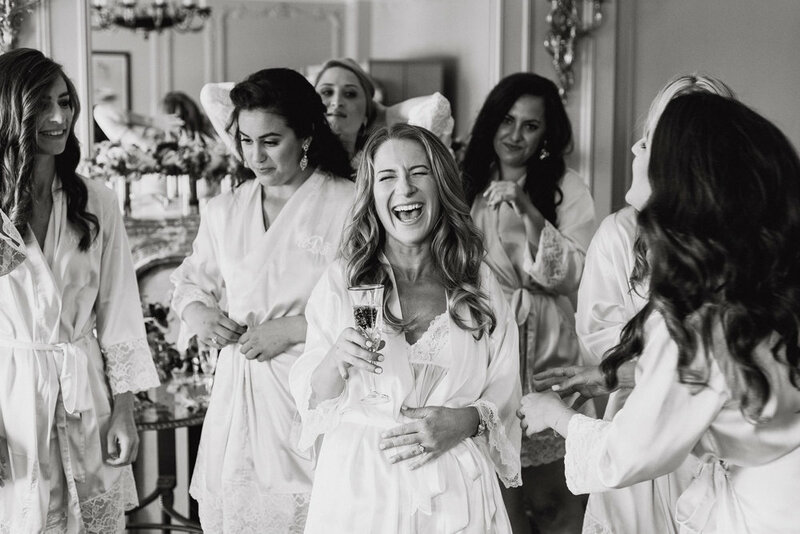 Rosie and Bret wanted to celebrate their wedding in style so they threw a black tie event at San Francisco City Hall. 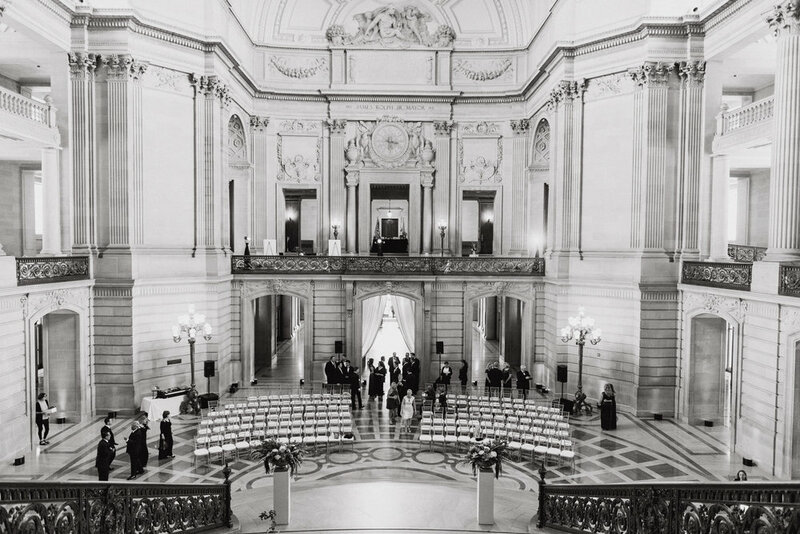 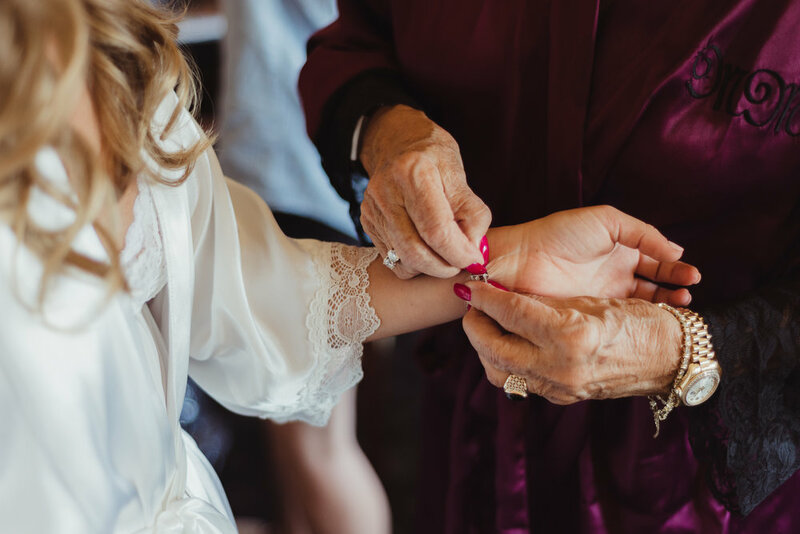 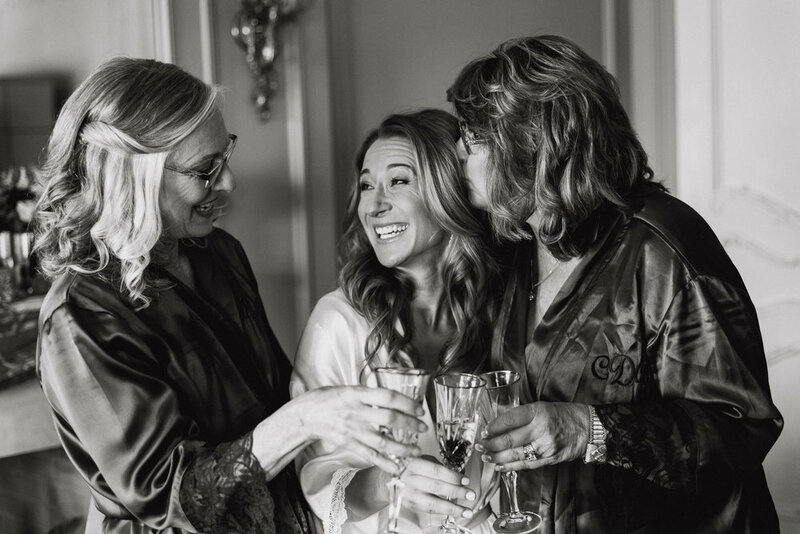 The first time the bride and groom saw each other was when Rosie accompanied by her parents descended the grand staircase to Bret who was waiting on the landing below. 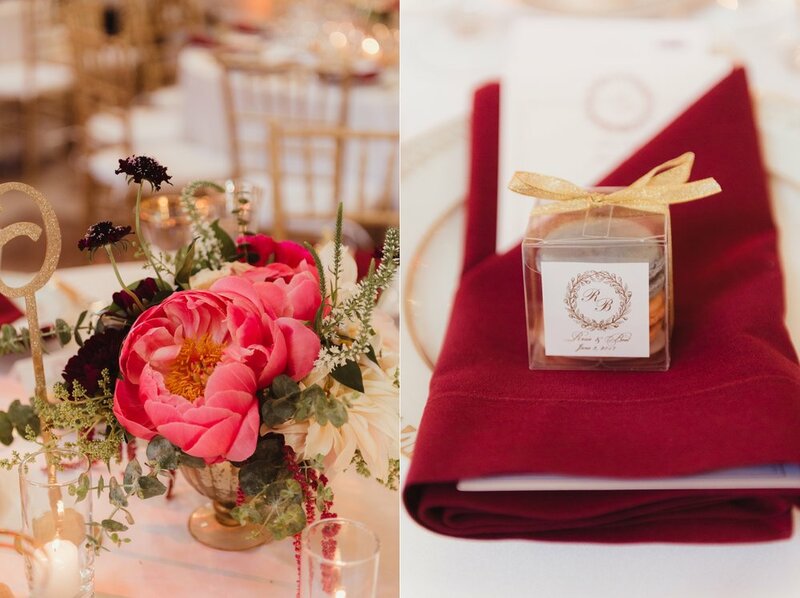 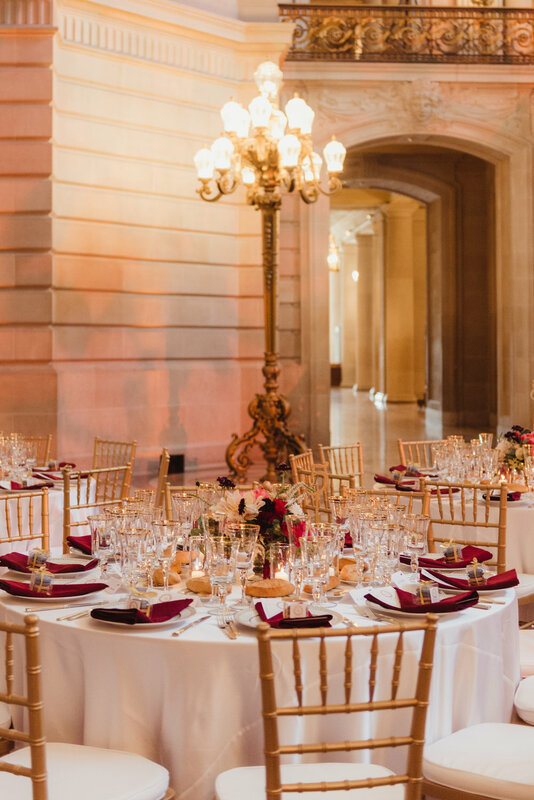 From the lush florals by Katharina Stuart to the golden detailing of the dinner plates, the entire day was as elegant as the city hall itself. 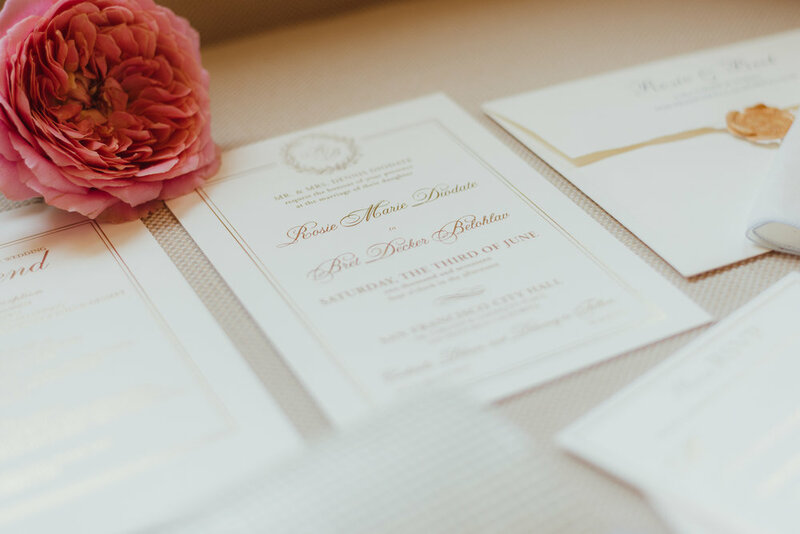 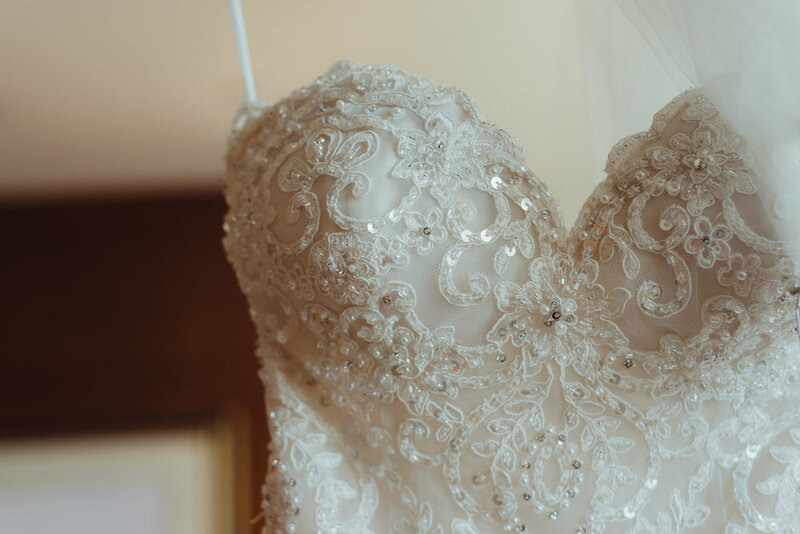 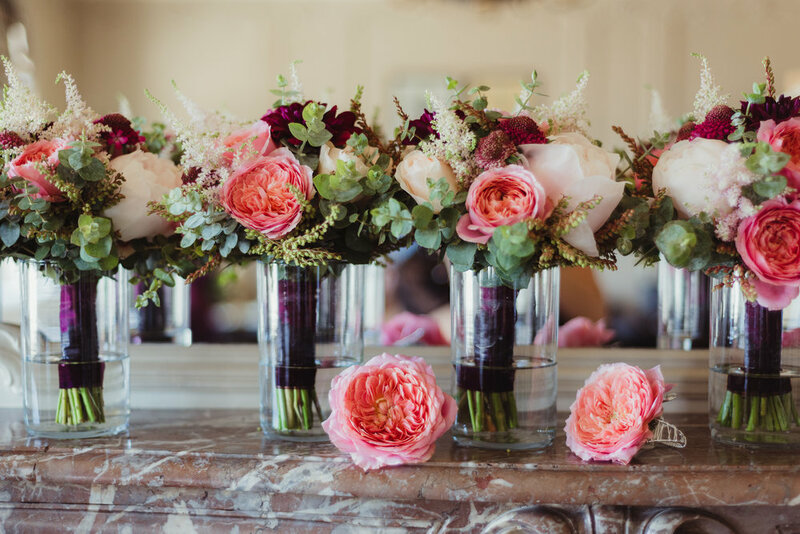 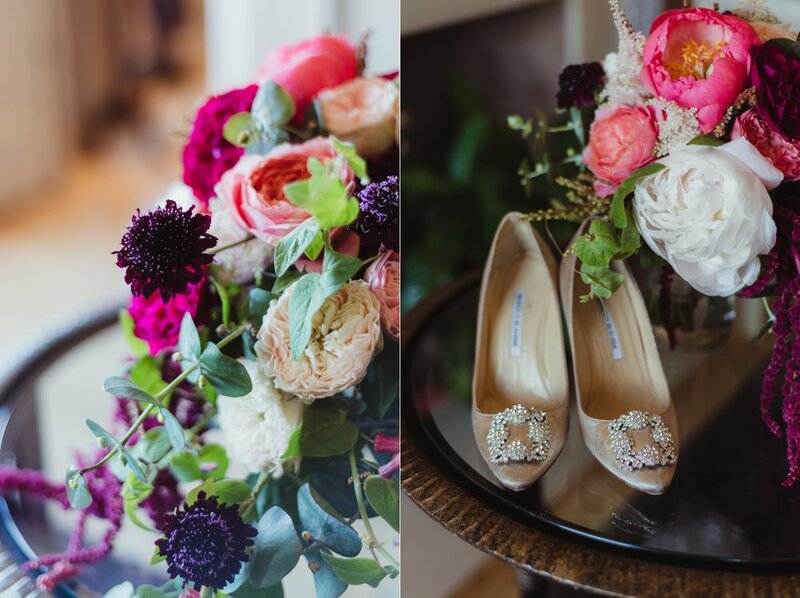 Big thanks to Jessica Goldblatt of Dreams on a Dime for coordinating a flawless day!